Are you looking for something exciting and sporty to do during your stay in Nice? The Best Western Hôtel New York Nice brings you some exciting things to do to spice up your holiday. This summer, treat yourself to an unforgettable break with family or friends on the Côte d’Azur! 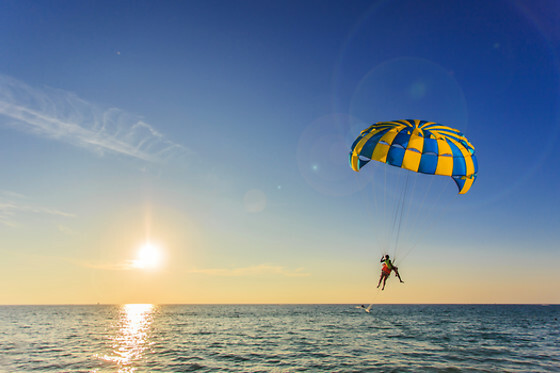 Experience something unique and go parasailing in Nice solo, as a duo or trio. Glide over Nice along the Promenade des Anglais towed by a boat and attached to a sail similar to a parachute. Thrills guaranteed during your stay in Nice. Several parasailing providers on the Promenade des Anglais beaches. Defy gravity and glide through the air on board a Flyboard. Soar over 7m high lifted by water pressure for an adrenalin rush on the Mediterranean Sea. 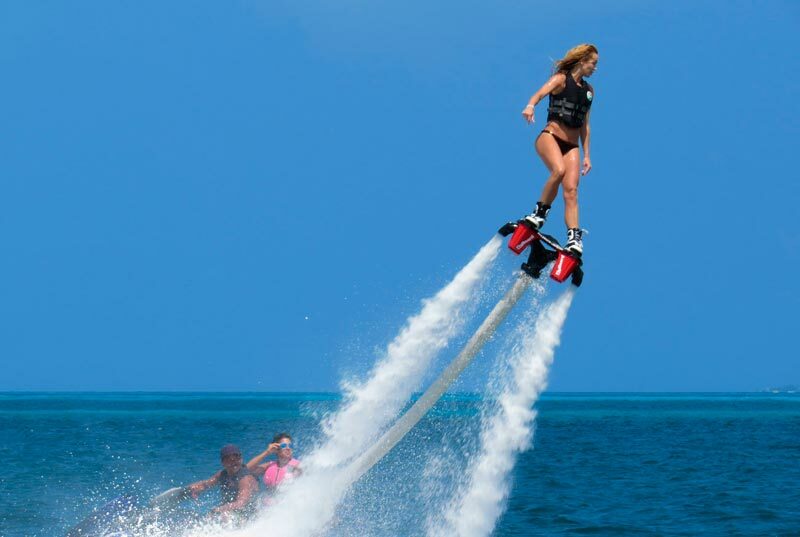 Experience something extraordinary on board a Flyboard just a few minutes by car from your 3* hotel at the Saint-Laurent-du-Var water sports centre. Visit the "Supdream" stand-up paddle school in Cannes and Antibes and try paddleboard yoga. Experience an original way to practise yoga on the water and get fit in a heavenly spot on the Côte d’Azur! The idea is to find your point of balance to do a series of yoga positions. Whilst on your paddleboard you can also soak up the scenery from the Mediterranean Sea. Are you looking for an original activity for the family, a birthday, hen or stag party near Nice? 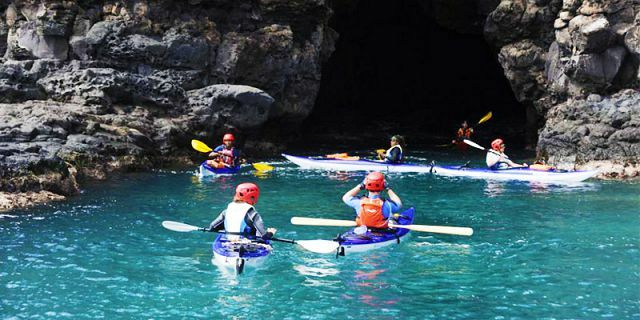 Seafirst in Cannes hosts treasure hunts on board a two or one-seater kayak. Sail from La Croisette in Cannes and solve three riddles as you visit the Saint Marguerite Islands and Saint Honorat Island monastery. This is a chance to explore the top historical and cultural sites on Lérins Islands and have great fun too. Do something different on the Côte d'Azur during your stay at the Best Western Hôtel New York and explore the best sites in the Mediterranean and around Nice and your 3* hotel. An adrenalin-packed adventure with thrills and spills!